Search engines identify and then rank content based upon a couple hundred ‘legendary signals’, apparently all weighted & change quite often. Years of experience shows that useful content is as important a signal as any! And WordPress software matters because it supports SEO! Per Matt Cutts (formerly) of the Google Search Quality team, “WordPress takes care of 80-90% of SEO mechanics.” Translated, he meant that the fundamentals of content easy for Google spiders to consume is provided with WordPress. 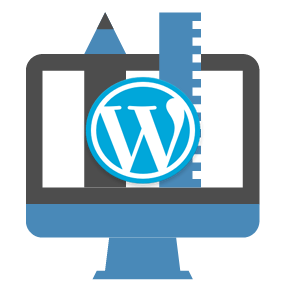 WordPress is better for designing websites because it is not only suited for an ease of content creation and editing by humans, but for markup that supports search engine spider crawling & consumption! What Cutts was acknowledging was that with a greater ease for crawling deep into a website’s pages the more likely it is to index keywords … leading to better overall visibility & SEO. Assuming a WordPress website is hosted & managed properly, it remains a competitive advantage in a web environment that is always evolving. And for those business owners that lack time or interest, we custom build websites and pages and in many cases re- engineer WordPress website for business all over North America. Interested, please get in touch! https://www.kineticknowledge.com/wp-content/uploads/2015/08/kinetic-knowledge-logo2.png 304 300 Kinetic Knowledge https://www.kineticknowledge.com/wp-content/uploads/2018/08/KKLogoDarker-1.png Kinetic Knowledge2018-11-16 23:30:372018-11-17 16:27:54WordPress Supports SEO Mechanics!